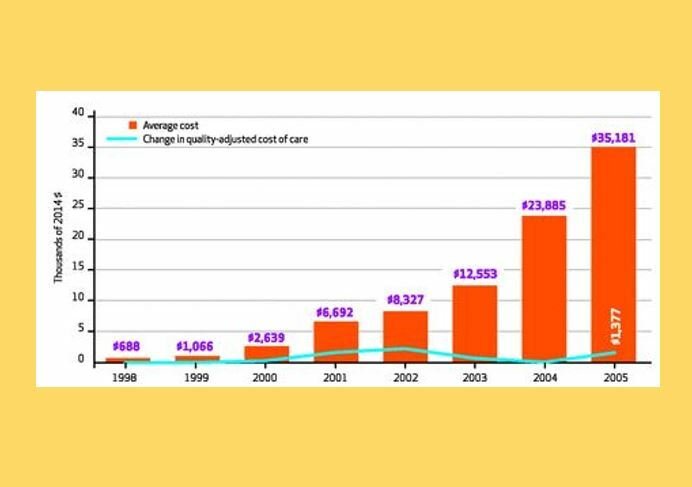 New medical technologies to treat chronic disease are typically accompanied by increases in both health care costs and health outcomes: while treatment costs have continuously increased over the years, the value of those treatments have not always shown the same growth in measured benefits. Darius Lakdawalla, Quintiles Chair in Pharmaceutical Development Regulatory Innovation at the Schaeffer Center and the USC School of Pharmacy, and his team of researchers, have established a quality-adjusted cost-of-care framework, which measures increases in health care costs, offset by the value of improved health outcomes. The research was published in the April 2015 issue of Health Affairs.